Book through our official website and get additional 20% off per night. 1. Select your room and begin booking. 2. Click "I have a coupon or promotion code." on the payment page. 3. Enter " SAVE20 " and click "Apply". * Stay 5 Nights & more, get one way free Airport transfer, only if you book through our official website. 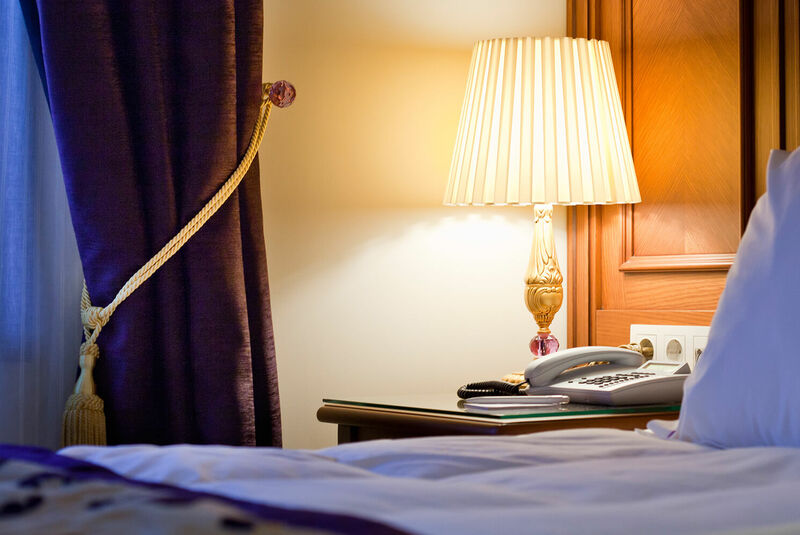 If your arrival is early in the day and you prefer immediate access to your room, we recommend reserving for the prior night to guarantee immediate access. Similarly, for late departures, reserving an additional night will guarantee access until you leave the Hotel. If you choose not to reserve, we will be glad to store your bags and offer you a breakfast. All reservations must be guaranteed by giving customer credit card details. The hotel reserves the right to pre-authorize , 72 hrs before arrival, the provided credit card up to the first night fee or full reservation amount at point of reservation. This is only a pre-authorization and it means no charge into your account. If the reservation is cancelled/amended 3 days or more, prior to the arrival date, then no fee will be charged. If the reservation is cancelled less than 3 days before check in date till 12 : 00 noon, we will charge a No show fee from given card ( 1 night room rate for each room booked ). The reservations that are made via online from our website can be cancelled by the hotel. If you have made your booking through a third party website, please contact that website in order to cancel your booking. Hotel is entitled to charge for premature departures made less than 24 hours in advance. Qualifying Bookings: This coupon code discount applies only to hotel bookings made online at GLK PREMIER Hotel web sites that are prepaid at the time of booking (subject to the restrictions set out in the terms and conditions below). Maximum Discount Value: The maximum savings discount may changes the reservation dates. Redemption Period: 12.01am PST, January 1, 2019 to 11:59pm PST, December 31, 2019. Travel Period: The travel dates must be between January 1, 2019 and December 31, 2019 (inclusive). Enter the coupon code in the relevant field and then click the “Apply Coupon” button. If your booking is eligible, the applicable discount will be subtracted from total price of the travel reservation cost. 3. The coupon code entitles you to 20% off the price of the relevant travel reservation. The maximum savings discount differs to reservation dates. 4. The coupon code cannot be redeemed against taxes, supplier fees, cancellation or change fees/penalties, administrative fees or other miscellaneous charges, which are the sole responsibility of the customer. 5. Usual booking terms and conditions apply at the time of booking and all bookings are subject to availability. 6. The coupon code may not be used or combined with other coupons, promotions or special offers. 7. The coupon code cannot be used for any booking previously made. It will be deemed fully redeemed once a qualifying booking has been made. The coupon code has no cash value and no refunds or cash alternative will be offered. 8. There is no residual value and no credit will be issued if the purchase amount is less than the coupon code discount. The coupon code may be re-used, in the event that you change or cancel the booking. 9. The coupon code is void where prohibited by law and may only be used by aged 18 and over. 10. The coupon code may not be used by employees of GLK Group group companies or any other person professionally connected with this offer including, without limitation, travel agency affiliate program partners. 11. Improper use of the coupon code by you including but not limited to publication or selling of the coupon code is prohibited, will result in the voiding of the coupon codes use, and may constitute fraud. 12. This Coupon may not be transferred or sold. Coupon codes obtained through unauthorized channels, mutilated, altered, copied, forged, damaged, manipulated, or tampered with in any way will be deemed void. 13. GLK PREMIER Hotels reserves the right to change or withdraw this offer at any time and to cancel any bookings made where the coupon was improperly obtained or used to make any speculative, false, or fraudulent bookings. 14. This offer is from GLK , a brand operating as part of the GLK PREMIER Hotels group companies.